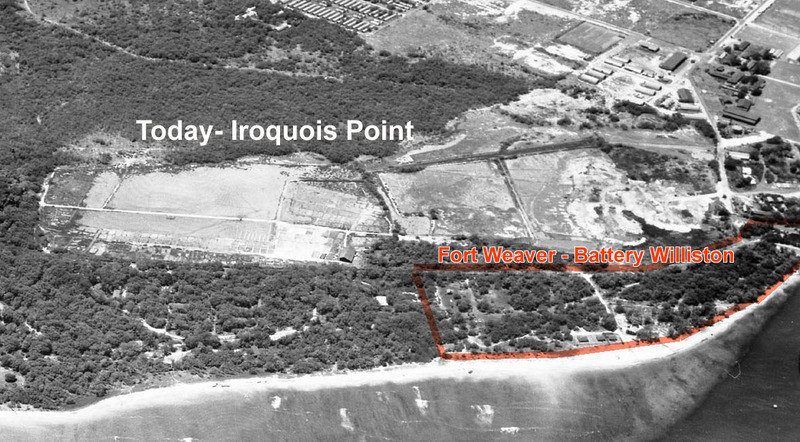 How military forces choose their attack-invasion route is extremely important. 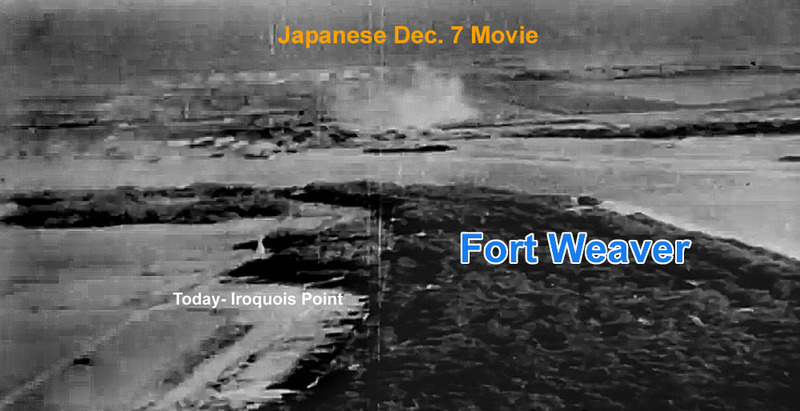 This is why from a Japanese Naval Military point of view for the planning of the air attack on Pearl Harbor, the main attack force would advance and retreat through the Ewa Plains Corridor. The corridor through Ewa offered the best possible Pearl Harbor entrance and exit route and ideal VFR (visual flight) navigation aids, especially if heavy clouds or heavy rain storms had been encountered over Oahu that morning. 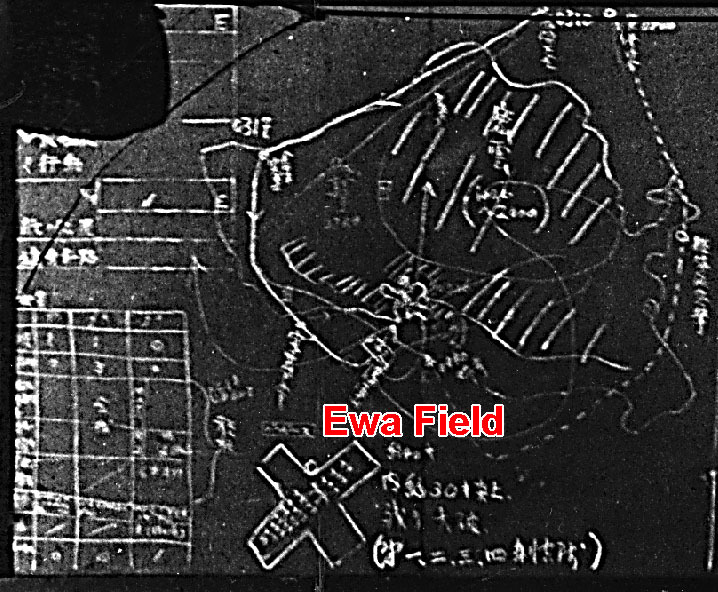 Once the confusion of battle and heavy AA fire began, it was also very important to have key landmarks memorized by Japanese pilots, and the Ewa Plains route was ideal as it offered clear visual markers to take them in and back out of the primary attack area. 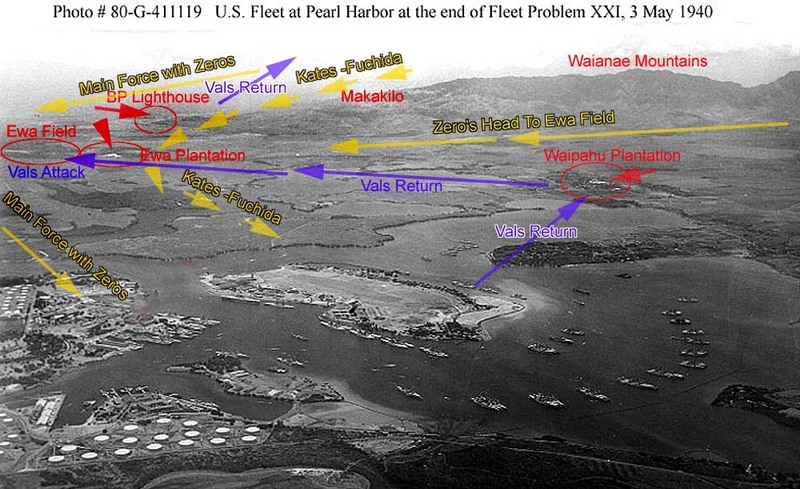 Inbound and outbound Japanese planes could count on a series of explicit visual markers in a sea of green sugar cane fields and Kiawe trees- Barbers Point light house, the OR&L tracks, Fort Barrette, Ewa Plantation twin mill stacks, Ewa Field, and then West Loch with a clear view of all the ships moored around Ford island. 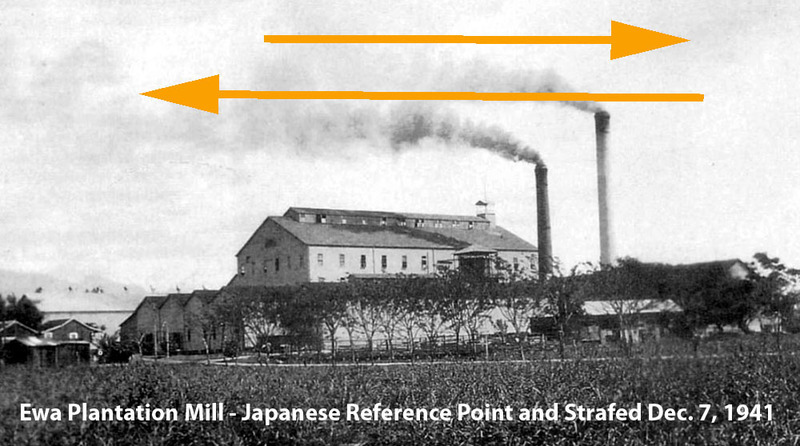 On return from bombing US Navy fleet ships at Pearl Harbor, eye-witnesses saw the Japanese dive bombers pivot around the Waipahu Mill stacks like an air race pylon, and then head straight out to Ewa's twin mill stacks to circle around Ewa Field looking for strafing targets. Most of Ewa Field's planes were already set on fire by the initial Japanese Zero attack, so Val dive bombers still well armed with 7.7 mm ammunition began attacking privately owned Marine vehicles and anyone or anything on the airfield that looked like a good target- such a the base fire truck and ambulance, which was especially riddled with bullet holes. 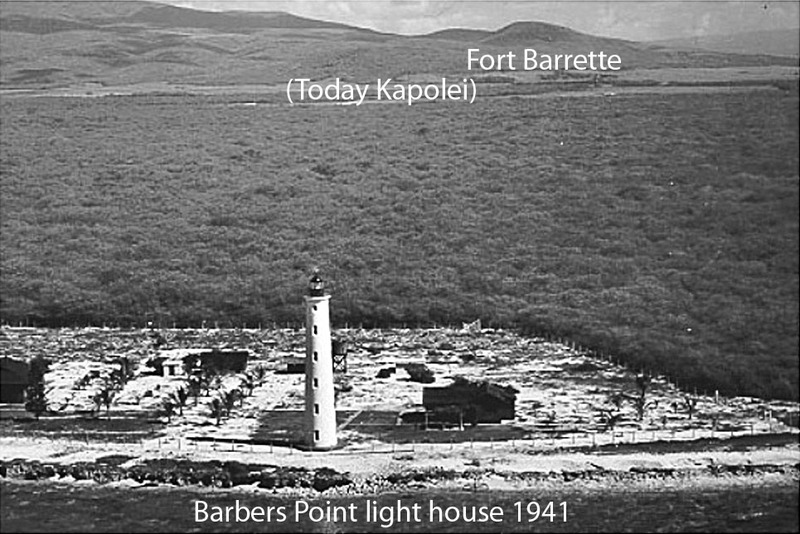 After strafing the Ewa Field area and nearby Ewa Plantation Mill buildings, and waving to gathered Ewa Villagers watching the attack from their homes, the various Japanese planes headed straight for the Barbers Point light house and then out to sea off shore. 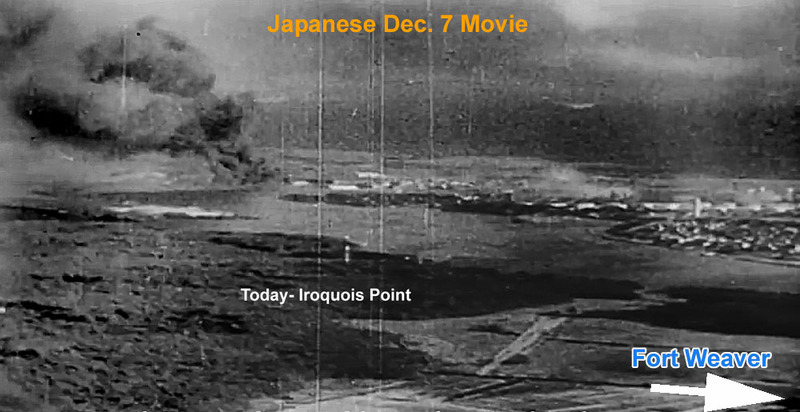 A few miles out and safe from AA fire, as well as protected by a screen of Zero fighters, the planes gathered in a large circular formation and then headed back to the Japanese aircraft carriers north of Oahu. 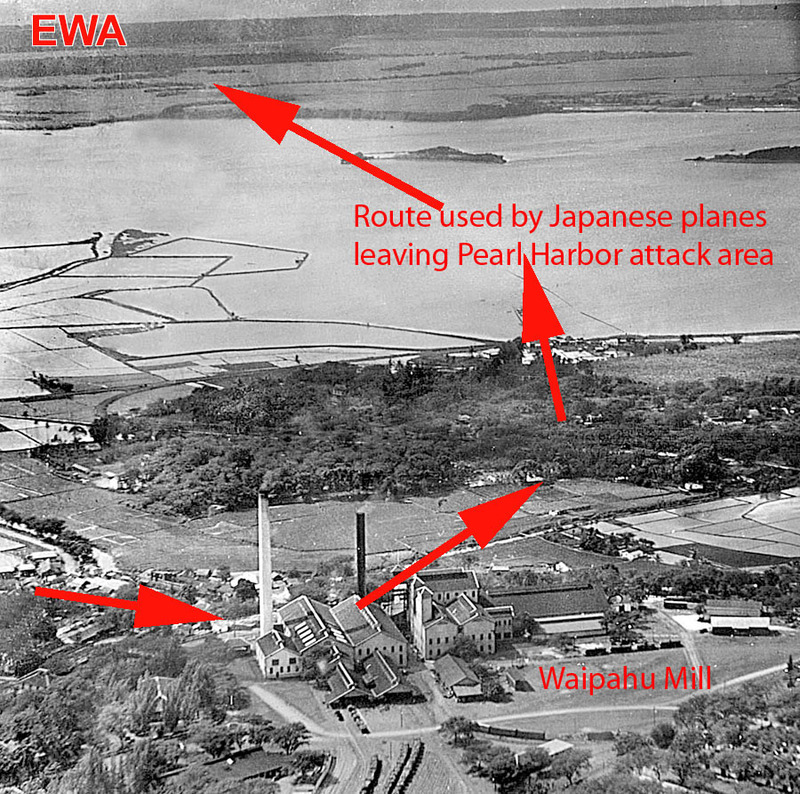 The Ewa Corridor was the key attack and exit route for Japanese Naval Air Forces on December 7, 1941, yet the Ewa Plains Corridor and Ewa air and ground battlefield is the least known aspect of the Dec. 7, 1941 attack on Pearl Harbor.